Are your Key Corporate Assets Safe? Home » Blog » Blog » Are your Key Corporate Assets Safe? Several years ago, Brothers Gourmet Coffees Inc., based in Boca Raton, Florida, saw its annual coffee production plummet from nine million pounds to 300,000 pounds, virtually overnight. The reason? Proctor & Gamble, which had been its largest customer, decided to move production in-house, leaving Brothers in the lurch. As a result, the coffee wholesaler had to shut its manufacturing plant in Houston, which had been in operation since the late 1950’s. Given all the dangers of losing a key customer, it’s amazing how little attention many companies pay to keeping their major accounts. Amazingly, some firms sometimes realize they’re in trouble only after a big customer has already switched to a competitor. Part of the problem is educational. 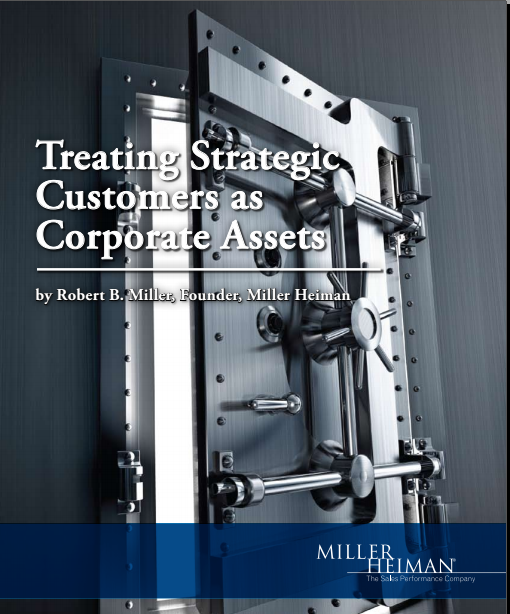 When business schools teach students how to manage corporate assets, the subject never includes arguably the biggest asset of any company – its customer base. The general rule of thumb used in many markets is that the cost of acquiring a new customer is five times that of retaining an existing one. But in some industries, that cost can be much higher. For those and other reasons, customer turnover, or “churn,” is a huge issue in many industries. In particular, it plagues many consumer markets, including financial services; insurance; cable, direct TV and Internet services; magazine publishing; and so on. In banking, for example, one estimate is that the average annual defection rate is 12.5 percent. In today’s world, all customers aren’t equal. The well- known adage is that 80 percent of a company’s business might come from just 20 percent of its customers. For some firms, the breakdown might be 70/30 or 90/10 instead of 80/20, but the point is that a minority of your customers will usually account for a proportionately larger fraction of your revenues. Moreover, just a handful of customers might be absolutely essential for your success; those firms are your “strategic” accounts. Download the rest of Bob Miller’s interesting article and read on……….. and then why not get in touch with us to discuss how to protect your Strategic Accounts. Contact us.